You are in the right place - Discover the power of music to heal ! Healing Through Music (HTM) is a unique and powerful method for healing. Healers can employ the healing frequency of the music to increase and to accelerate the healing process of their patients. HTM is also suitable for self-healing. The world of medicine is wondrous and complex. Today it is clear that the various kinds of alternative medicine are doing wonders and are beneficial in treating a wide range of problems and diseases. We as healers and therapists are always looking for a better way to help our patients, and to get them on the path of healing and recovery. It is a professional obligation that we have taken upon ourselves when we decided to take the path of healing. We are continuously looking for ways or techniques to overcome our patients’ doubts and difficulties. We are looking for our own development and for a way to give added therapeutic value to our patients. The music intensifies every treatment while harnessing the healing power of the musical frequency to the healing process. The HTM method enables healers to retain their own healing technique. The music intensifies and makes the healing treatment more effective, by adding a healing frequency of its own. The frequency produced in the Healing Thru Music kit resonates within and permeates the patient’s body. This resonance helps the healing process on the deepest and most basic level – the building blocks of the body, the four elements. Imagine a powerful healer with the healing capabilities and power to awaken the primary memory of the body to heal itself, that can bring forth ancient energy for your healing process and can change your body on the DNA level. I am going to tell you about a healing method that anyone, without previous experience in healing and without spending thousands of dollars, can learn and use to heal and to improve healing results. This method is so simple that within a month you can use it to heal just like a healer with 20 years of experience. If you are already a healer, click here ! Hi Yossi, I wanted to share with you the divine feelings I experienced when listening to the first CD. Simply amazing! What was most amazing, beyond what I felt, was that I heard in the background of the first two tunes and in the fourth, a voice humming the tune (like accompaniment) and I saw colored lights of blue/purple. During some of the tunes, I saw white light, too. I can tell you that it made me feel pure, indescribable joy. You will get your freedom back-get on the path to healing and give yourself the necessary treatment without being dependent on any external factor; without waiting, without scheduling an appointment, without paying thousands of dollars for treatment, and without leaving home. Your loved ones will thank you for helping them – after trying the HTM method and understanding the power in the method you will be able to help your loved ones and treat them to when necessary. How wonderful it will be to be the one than have the right tool to help. You will receive tools that will also enable you to help your loved ones-healing is not limited to you alone, this is a comprehensive healing technique that can help heal in different areas. You can start your own healing process effortlessly – for the first time without any experience with any healing technique and without having to take any long healing course, you can heal yourself with the simple use of your home audio system. 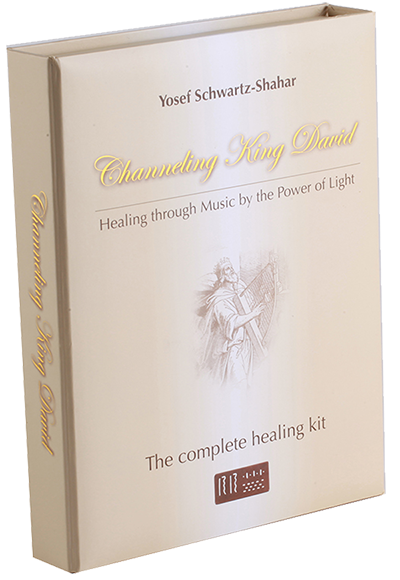 You will significantly improve the healing process– even if you have been treated by another healing method the use of the tunes in the kit will improve the results of your healing significantly. You will feel the healing frequency long after the treatment- the healing frequency will accompany you a long time after using the tunes; you will feel the healing energy accompany you and continue to help you through the process. associated with a balanced functioning of the body.